Microsoft and GoDaddy are once again working together to bring Office email services to GoDaddy’s customers. Office 365 email is just the latest development in a long partnership between the two companies which previously yielded other email services based upon Microsoft’s Exchange server. 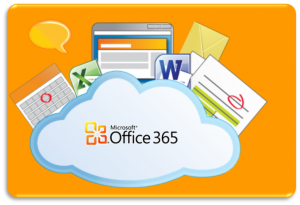 In total, there will be three Office 365 email plans ranging from $3.99 to $12.49 per user per month, and as the prices increase so do the features. The most expensive version of the email plan will provide customers with access to the desktop version of Office as well. For some consumers and businesses, this will be a cheaper and more efficient way to access Office without buying Office directly from Microsoft. Email Essentials, the cheapest GoDaddy Office 365 email plan, will only provide users with 5GB of email storage and 2GB of Skydrive storage. Upwards from that will be a $9 per month Business Essentials plan which includes 50GB of email and 25GB of Skydrive storage. Access to the actual Office services is only found with the $12.49 Productivity Plus package. These Office 365 plans will only be available to customers in the United States and Canada to start however, a global rollout will be occurring over the next three months. To expand the reach of Office 365, Microsoft has been working with other companies as well, including Verizon. The GoDaddy partnership makes quite a bit of sense mainly because the two companies have had a long history of working together in the past for promotional deals. Direct integration with GoDaddy has already been available in Office 365 for months, as Microsoft noted in June 2013 that users could buy GoDaddy domains from within Office services with the help of an integration wizard. Summary: Microsoft and GoDaddy have partnered up to provide three consumer/business email plans. The plans will range in price from $3.99 to $12.49 per user per month, with the most expensive plan including access to desktop Office services.